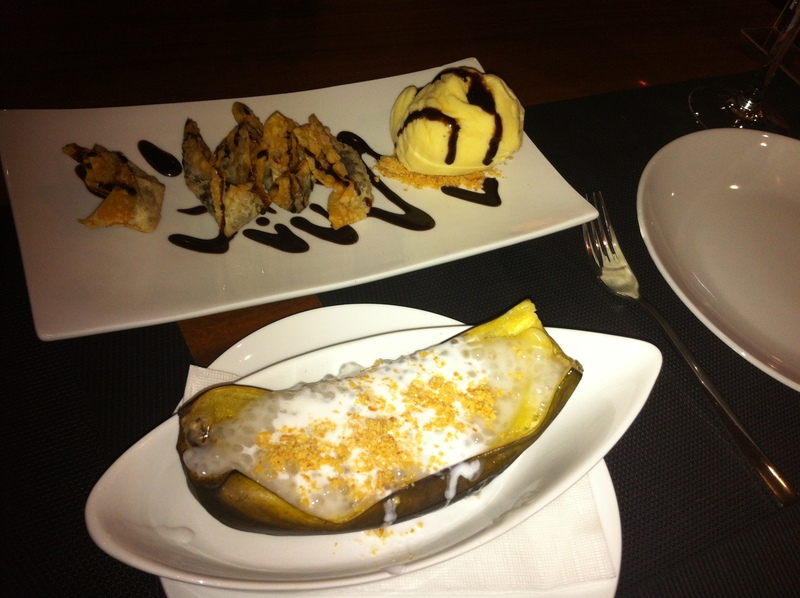 A while ago, I was invited to visit and try one of the trendiest restaurants in town “LIZA Beirut“. 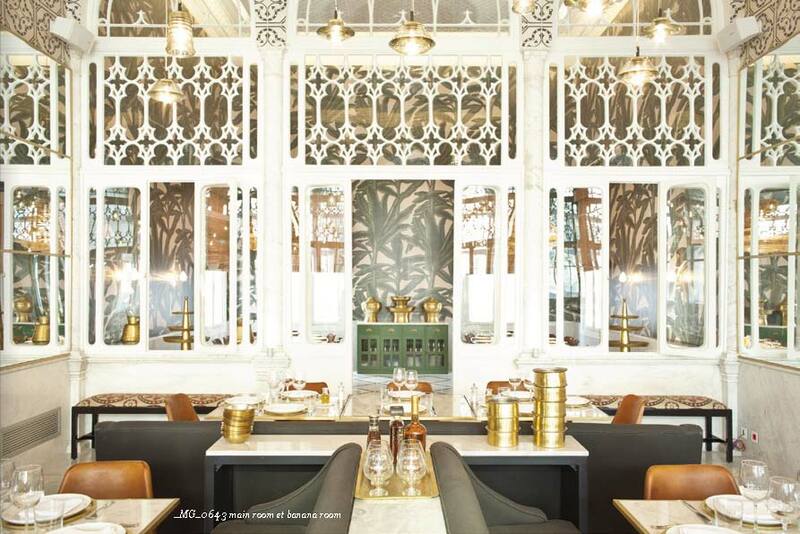 shore, the sprawling 500 sqm restaurant is housed in a historical venue. this magical space on the first floor of Metropolitan Club. The restaurant maintains the structure of the Lebanese traditional houses of the 19th century; several rooms are symmetrically arranged on the three sides of a large central hall (the Dar), having a triple glazed arcade leading onto a narrow balcony. Only the doors were widened to allow more light to enter. In order to create a sense of movement in the vast space—500 square meters (5400-square-feet) overall with 7-meter-high ceilings—a story was defined for each room. in the Main Room, which is styled as a hotel lobby. The Money Room is a dimly lit space with simple wooden blinds; the atmosphere is sweet and nostalgic accented by strong, colorful custom wallpapers by the Italian designer Idarica Gazzoni featuring soil-cement tiles and enlarged ancient Lebanese Liras. The Banana Room is a beautiful room especially designed for the large buffet brunches held on Saturdays and Sundays. Through the walls, we are taken to the Southern Lebanon through the large green banana tree leaves and the lamps evocative of Casablanca, the Michael Curtiz film starring Humphrey Bogart and Ingrid Bergman. Hubert Fattal’s giant stars hang brightly, adding sparkle to evenings at LIZA BEIRUT, just as they do in LIZA PARIS, and ultimately express Ziad and Liza Asseily’s appreciation for the sparkle of life and the talented stars around them. If you like to enjoy your Lebanese meal in a nice and cosy place, then this is the place to try! Bride to be? Looking for that unique Dress? Then you should check Monique Lhuillier Spring 2014 collection! One of the top names in bridal fashion, the spring 2014 collection from Monique Lhuillier is stunning! With a nod to vintage designs, Lhuillier has created an extensive collection sure to please any bride. Short hemlines are on trend with spring and summer weddings and there were plenty of options coming down the runway. 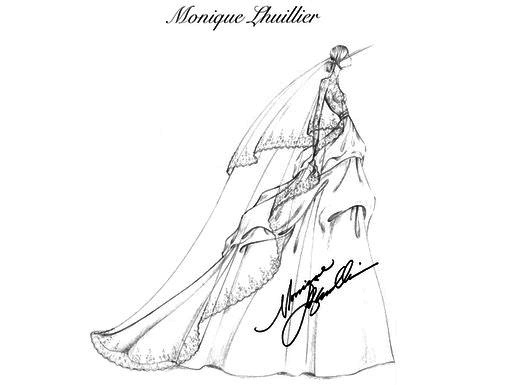 Brides looking for vintage style gowns will love the Monique Lhuillier collection! Midcentury modern designs and silhouettes create stunning options for brides looking for that Mad Men-style dress. The ‘Jackie’ is an homage to stylish former first lady Jackie Kennedy, while other designs, such as the ‘Dee’ look very much 1960’s in style. Sheer lace and overlays were prevalent through much of Lhuillier’s spring 2014 collection. Which dress describes you the best? Travels, adventures… The Lanvin man hurries towards his destiny as if he were on the run, with a backpack, a giant orange Doctor Bag or numerous cross-training sneakers in new colors and materials. The new star of the Lanvin shoes is the cross-training sneaker. Its modern look is created using a patchwork of luxurious materials with a couture finish: using nine differently treated varieties, the leather combines both discreet and overtly bright colors. Grained and smooth calf, calf with metallic cubes, rubberized calf, grained goat, mesh, technical fabrics, plastic inserts… The series includes seven different designs. Back in December, I have attended a cocktail party held by the international award-winner brand Nada G™. A cocktail party with hundreds of people gathered in festivity around the boutique to celebrate the brand’s consecutive years of achievements following the acclaimed highlight of the year where the brand has been chosen to be part of the “Precious Jewels Salon” at Neiman Marcus, USA. Founder and designer behind the brand, Nada Ghazal, took this opportunity to reveal one of her newest collection ‘BOY MEETS GIRL’, where the invitees stood in awe around the gorgeously executed designs. ‘BOY MEETS GIRLS’ is all about the boyish side in me, expressed through the tight bands and the fun oversized wires”- explained Nada Ghazal. In the past few years Nada G™ creations have had a big impact at showcases in London, Paris and Las Vegas making Nada G™ a highly sought after brand by affluent international retailers. 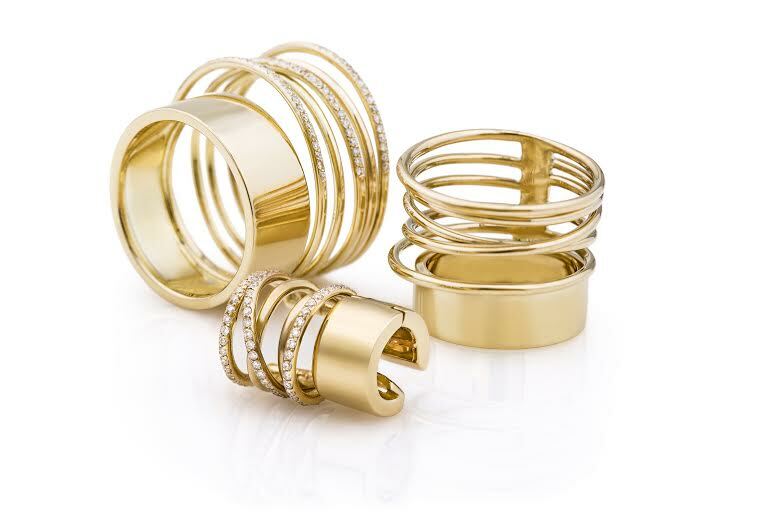 The brand is now available in several stores in the US including the famous Neiman Marcus and one store in the UK with future expansion plan in the Gold region. “We have had three years of major accomplishments which we would like to celebrate and we are taking this opportunity to share them with our customers and supporters.”-Nada Ghazal. Nada G™’s flagship boutique is conveniently located in the ‘Beirut Souks’ of the Downtown Central District. 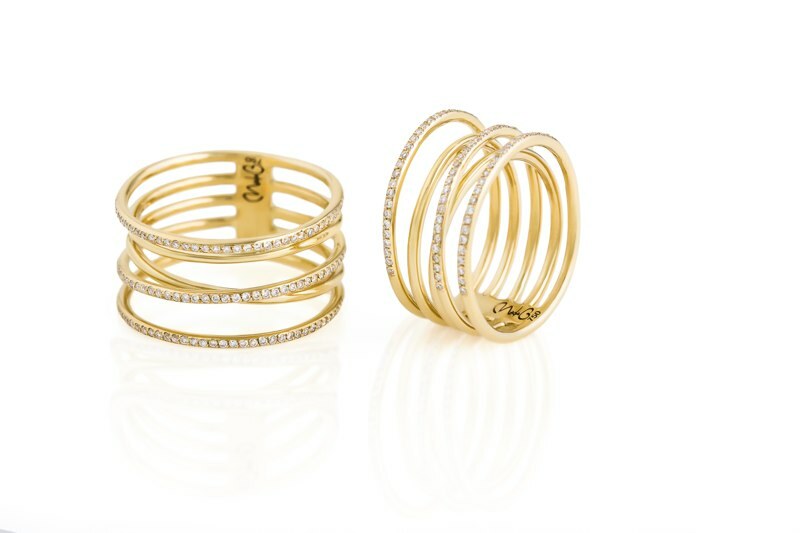 Nada G™ jewelry is also available for purchase in ‘Sabbia, The Ritz Carlton’, Miami-Florida, and ‘Sabbia, Chicago’, ECOne, London and ‘Shannon Green Collection’, Naples-Florida. When looking for something to do in the evening, a trip to the casino can be a lot of fun. It may be the only activity on the evening’s agenda or it may be combined with other activities. Regardless, a certain level of dress is expected when visiting the casino in the evening. Women do have a lot of options as they do smart casual outfits for the evening. These outfits are a nice balance between a casual look and a smart business dress. 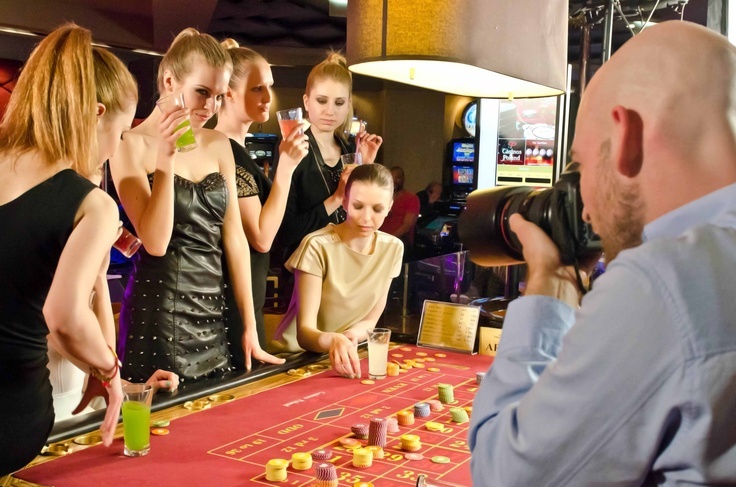 Women can be comfortable as well as maintain a classy look, then again a lot of women opt for online casinos such as LuckyNuggetCasino.com/au/online-blakcjack now to not have to through the effort of getting all glammed up. But generally they like dressing up, as we all should once in a while, but in women’s case they will find there are not a lot of items in their closet that cannot work for smart casual. The important part of choosing one of these outfits is ensuring a balance between the pieces. Some women may have dresses they wish to wear to the casino. However, they may be a bit on the dressy side. Sometimes simply adding a denim bolero jacket or a cardigan can make them look at bit more casual. While high heels may be your go to shoe for the evening, wearing them to a casino isn’t really a good idea. Many women find the walking around cause’s foot pain. This makes it hard to have a good time and focus on your casino gaming when your feet are throbbing in pain. Opt instead for flats or low heels. Your feet will thank you! Skirts can be a foundation of assembling a smart casual outfit for the casino. Some skirts may even be part of a suit. Simply ditch the jacket that matches to ensure the look isn’t too business-like. Wearing a casual top or one with embellishments like sequins can be a great look for the evening. Cardigans worn with matching shells can also look great with these suit skirts. 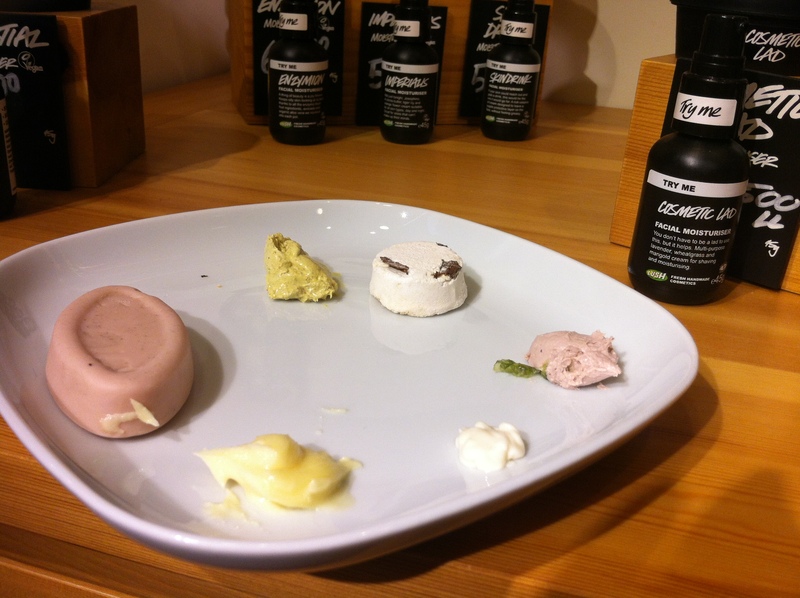 A while a ago, I had the chance to get pampered at LUSH Lebanon. I didn’t know that they provide facials for their customers at their different branches, until they contacted me to pass by and try it out. I like visiting their shop, because you can always find a new item, a new smell to fall for. After going through their branch in Beirut Souks, and choosing the appropriate products for my skin type, I was seated for a relaxation session. The first step was using the ultra blend; this is the makeup remover and cleanser to clean the face, it’s removed with pressure using a wet towel. The second step was using the full of grace; which is a serum to nourish and moisturize the skin. Then to clean the face, an aqua marina cleaner was used, then an aroma tone water to balance the skin and at the end a moisturizer was applied to nourish and keep the glow of the skin. 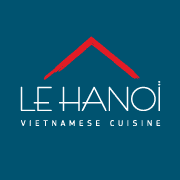 I had the chance a while ago to try Le Hanoi Beirut with a dear friend of mine. 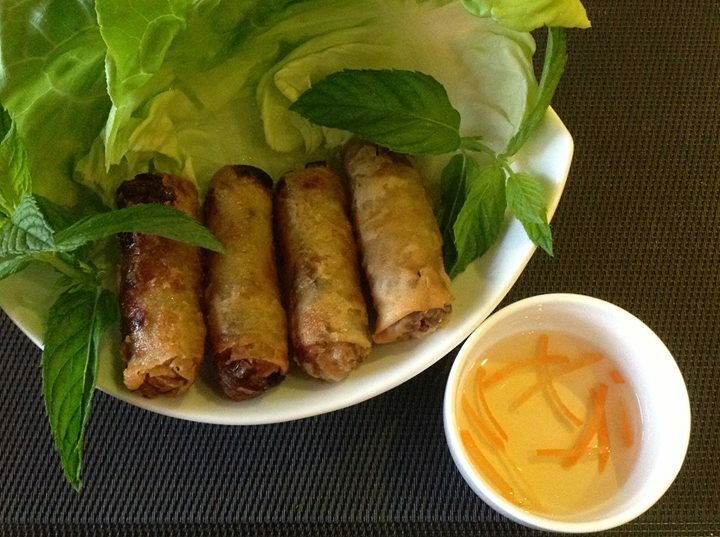 We wanted to try something new and different, so we grabbed their offer from Makhsom. 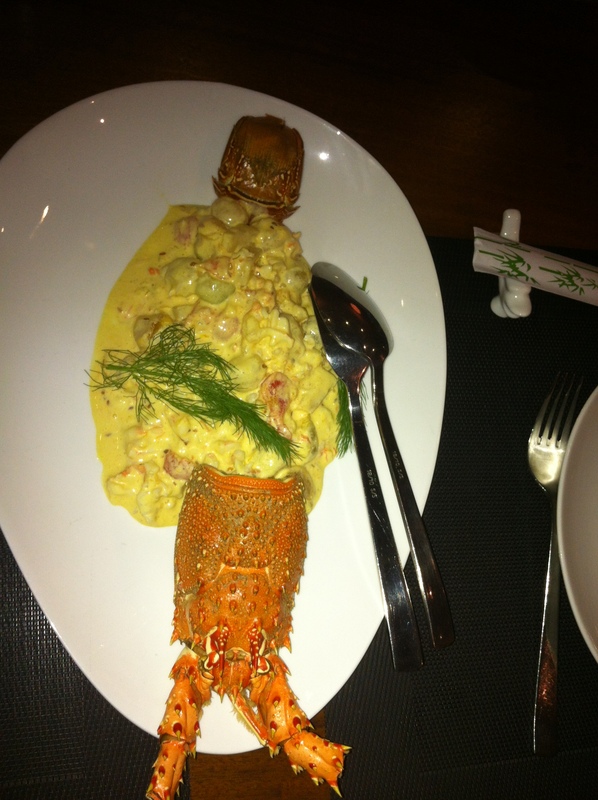 We were well received and guided to our table, the interior is cosy and warm and the soft music is just perfect. We had the waiter’s opinion with the menu, because it was totally new to us, he was very helpful and the items we chose were really mouth-watering. And just when we thought it was over, we had complimentary coconut flakes, if you haven’t taste them, they are sooo addictive!! 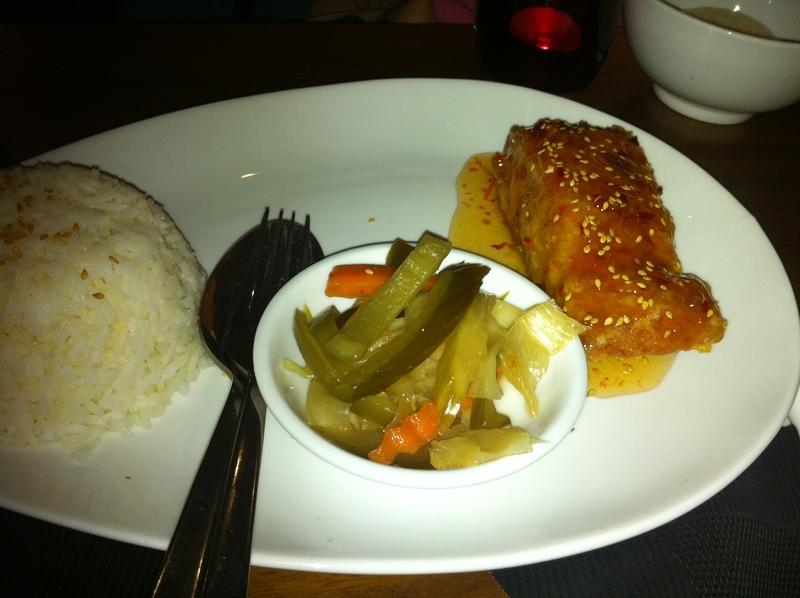 I enjoyed the place and the food a lot, I definitely recommend you to try it! “La Folie Rouge” is a yearly winter show created by “Francofolie” in 2010 and featuring top quality international artistic performances. Francofolie famous Parade with extravagant shows. DJ MARC performing the 80’s and French music. Several other animation and dedicated performances. 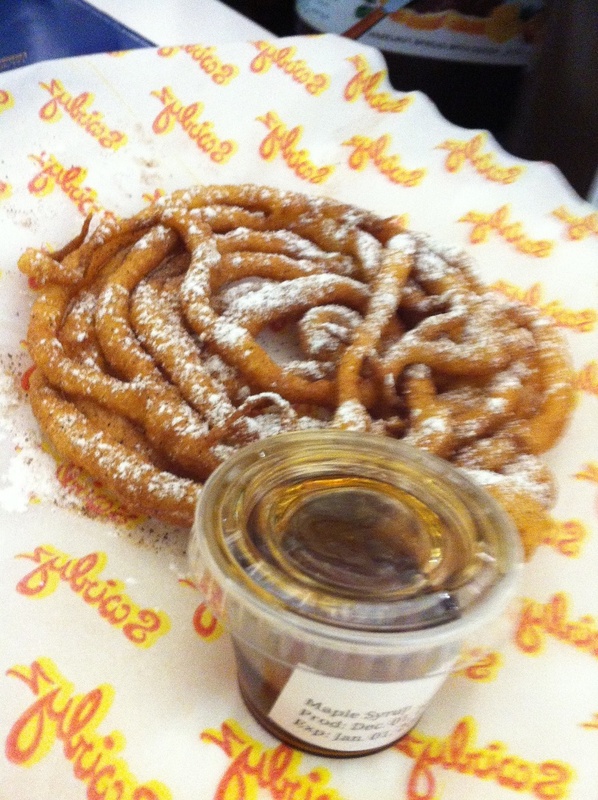 Swirlyz introduces the Funnel Cake to Lebanon. 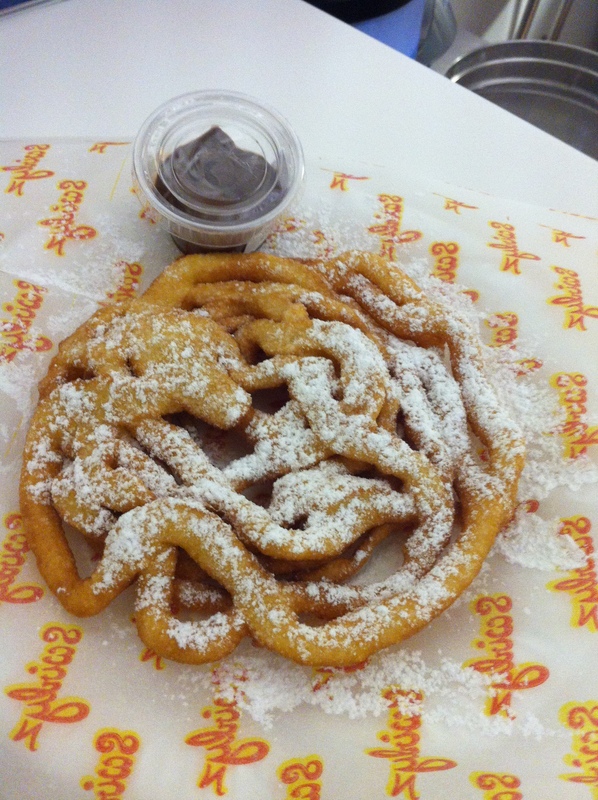 Funnel Cakes exist mostly in the US, they are usually available on board walks and only appear during fairs all over the US. Swirlyz started serving the public on Saturday 30th November, serving customers from the age of 2 all the way up to 50+ and they all really enjoyed Swirlyz. At Swirlyz only one item is served, “the funnel cake” and they use digital display menus available on both sides of the stand. The menu is simple and straightforward, they serve the regular which comes with powdered sugar or powdered cinnamon. The other options are served with Maple Syrup or Nutella. They also serve water and espresso as complimentary items to their offering. I tried one with powdered sugar and Nutella and the one with cinnamon and Maple Syrup and they were amazingly delicious. 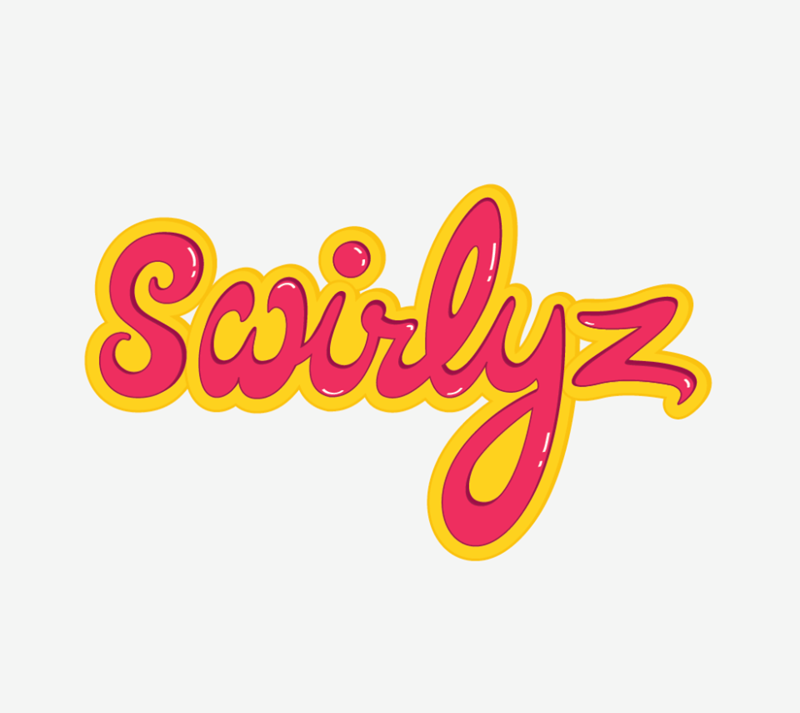 Swirlyz are always jumping from one place to another, I got the chance to try them in ABC Achrafieh, but now they’re in Souk El Tayeb in Beirut Souks. Did you get the chance to taste them? 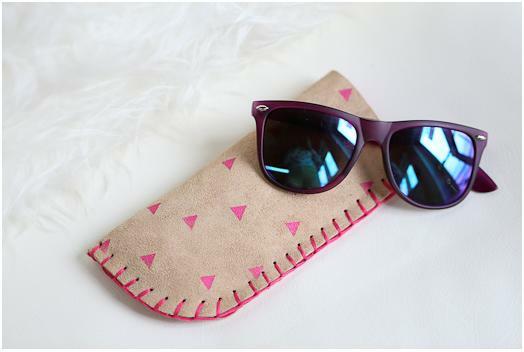 1- DIY sunglasses case by Alice & Lois. This easy project requires basic sewing skills, and they make use of your pretty fabric scraps that you never threw out. 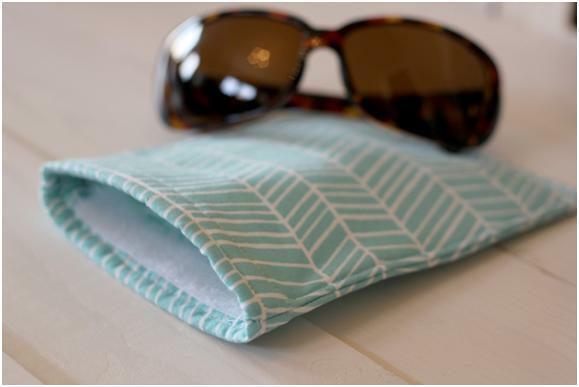 2- Sunglasses pouch tutorial by This Nifty Earth. You can use plain fabric for this one, and embellish it with colorful stripes to your own taste. So many possibilities! 3- Vinyl DIY sunglasses case by Henry Happened. This one is just right for you if you want to show off your sunglasses with a transparent case, and if you’re not crazy about sewing. 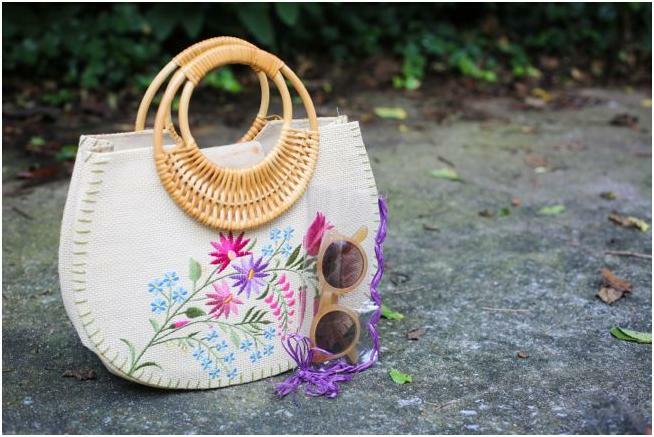 Just use a leather hole punch and raffia in your favorite color. 4- Looks like a clutch by Craft Snob. 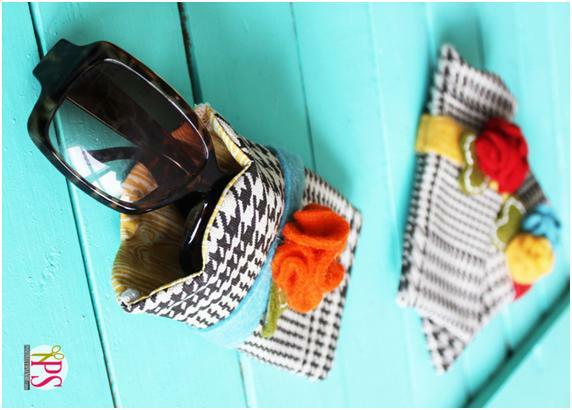 This sunglasses clutch opens on both ends, with velcro closures, and you can download the pattern for free. The pink pattern and lace make it look very feminine! 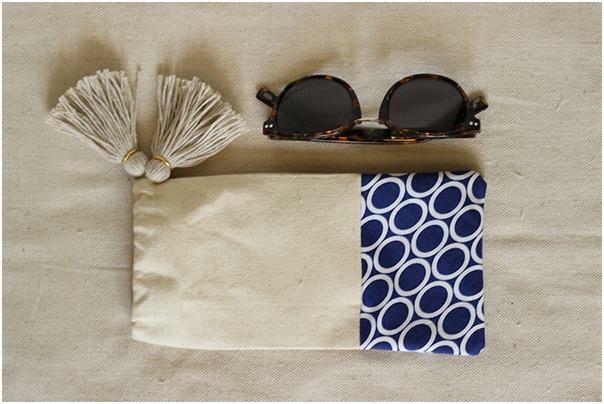 5- Tasseled sunglasses pouch by Luri and Wilma. 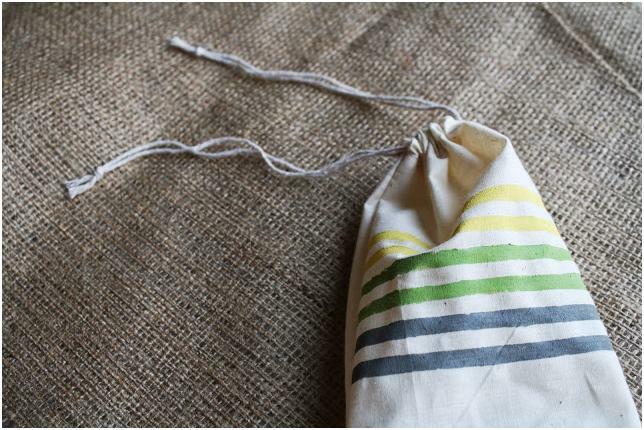 Combine a plain fabric with a printed one and adorn with fun tassels to get the cutest pouch! The overall look is stylish and no one will be able to tell they’re home made. 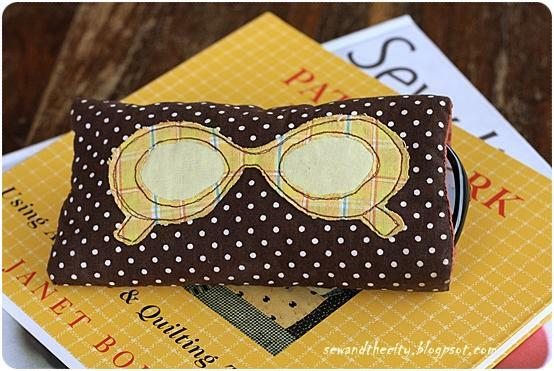 6- Leather glasses case by Whimsey Box. An elegant and fun way to store your sunglasses, with leather and neon. Doesn’t require sewing, and it looks beautiful as can be. 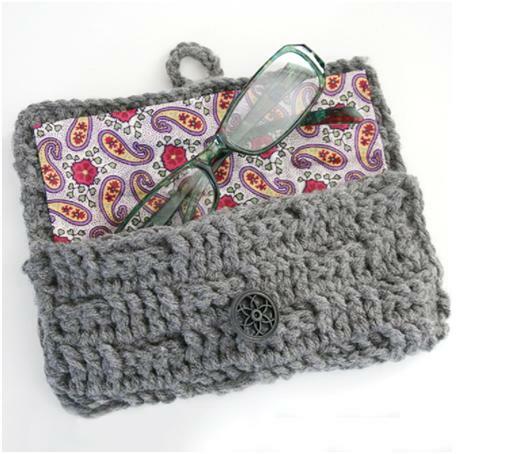 7- Crochet glasses case by Dream A Little Bigger. If you’re a master of the crochet hook, you’ll make this in no time! The pattern is simple and pretty. The best part is you can customize the colors and lining. 8- Sunglasses case by Sew and the City. Nothing says “sunglasses case” like an applique of fun sunglasses! Use different prints for a fun look. 9- Gingham style by See Kate Sew. If gingham is your style, you’ll love these! Easy to make and topped with an adorable bow, these pouch are girly and cute, whether they’re for yourself or for your daughter. 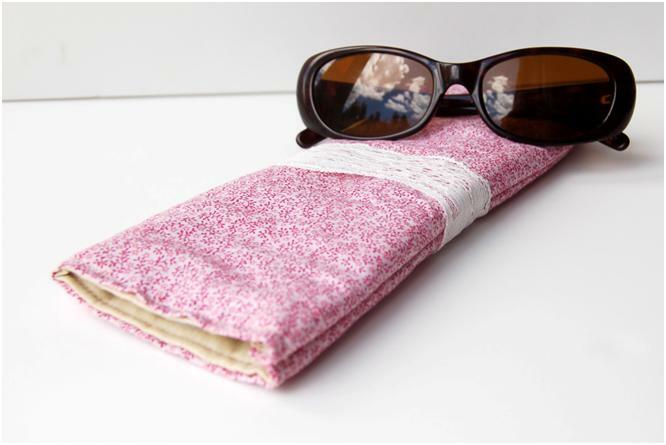 10- Scalloped sunglasses case sewing tutorial by Positively Splendid. 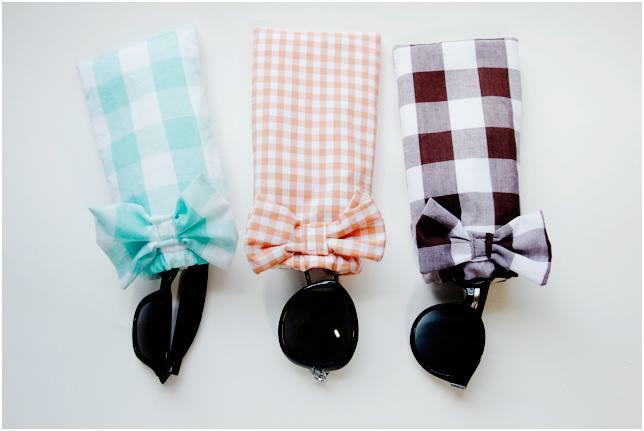 Scallop is super trendy and sweet, so why not use it on your sunglasses holder? This one comes with a lovely felt flower adornment as well. Are you gonna try to do any of them at home?